Sid is a rising Senior at Hong Kong International School. A social entrepreneur, he co-founded MDJunior - a student run non-profit. An Eagle Scout, Sid is an avid athlete who plays Varsity Basketball and is the Captain of JV Tennis Team. Sid aspires to be a medical doctor in the Army and eventually the Surgeon General of America. Charlotte is a sophomore at Hong Kong International School, Kong Kong. She enjoys traveling, exploring new places and listening to music. In the future, she plans to study biochemistry. Audrey is a rising Senior at Hong Kong International School (HKIS),]. She has has attended two Global Medical-Mentor Missions with MDJunior. She enjoys reading, playing tennis and aspires to be a medical surgeon. Jason is a rising senior studying at Hong Kong International School (HKIS). He is interested in studying data science and business management in college. He enjoys playing baseball. A sophomore at Hong Kong International School (HKIS). 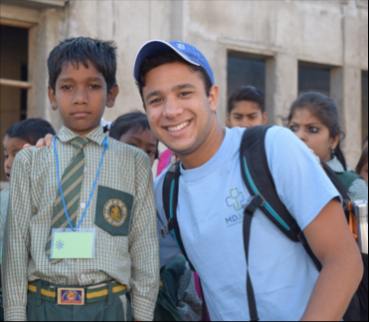 A student athlete and leader, Krish is excited to work with MDJunior to inspire global change. Through the MDJrHack he hopes to combine his computer science and business passions with a desire to make the world a better place. Jennifer is a sophomore at Hong Kong International School (HKIS). She is an aspiring physician and has a passion for public health and hopes to make an impact through MDJunior. In her spare time, she enjoys public speaking and service, taking part in school activities of forensics and Habitat for Humanity. Will is a rising Senior at American International School, Hong Kong. He attended MDJunior’s Global Medical Mentor Mission to India in 2018. He loves technology and aspires to study medicine. Aditya is a rising senior at Hong Kong International School (HKIS). After graduating, he plans to attend university in the United States and study international business and statistics. Aditya loves to play soccer and is currently on the varsity soccer team. Ashley is a rising senior at Hong Kong International School (HKIS). After graduating, she plans to attend university in the United States and enroll in a pre-med program. Ashley loves playing volleyball and traveling. Nicole is a sophomore at Hong Kong International School. Outside of GYHS, she enjoys singing, badminton, and debating. Nicole aspires to one day be a pathologist. Join MDJunior on September 15-16th, 2018 for our second Global Youth Health Summit & Hackathon at Hong Kong International School (HKIS), Hong Kong. 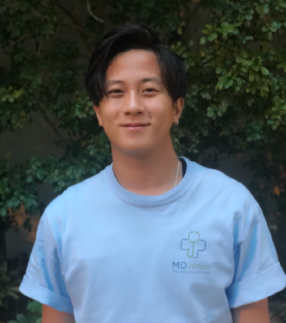 MDJunior is a student run non-profit organization spanning 45 chapters across the globe, with the goal to empower youth in health through selfless service.